Trimble Catalyst is a revolutionary new offering from Trimble that introduces a software defined GNSS receiver that runs on select Android phones and Tablets. It requires a specialized digital antenna (Catalyst DA1) that connects to the Android device via USB. 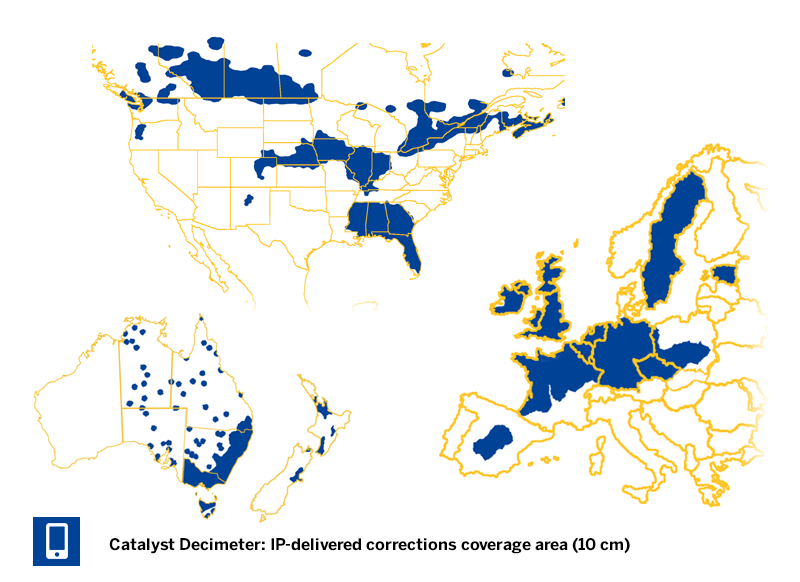 The solution enables a customer to subscribe to the Catalyst service in order to enable the GNSS receiver to operate at a level of accuracy related to their subscription level. Purchase of this item enables Decimeter level horizontal accuracy, which equates to 10 cm in optimal conditions.